Richard Zink blogged about “7 things to love about JMP Clinical 5.0” the day that JMP Clinical 5.0 and JMP Genomics 7.0 were released. In his post, he highlighted seven important new or improved functions in JMP Clinical 5.0, including RBM (risk-based monitoring), fraud detection, SMQs (Standardised MedDRA Queries), predictive modeling review, subgroup identification, review builder and patient profiles that will further streamline safety and efficacy studies to enable understanding of clinical trial results better and faster. Let me add two more big things to love about JMP Clinical 5.0 -- both are related to the fact that it is no longer English-only software. First, JMP Clinical has been translated into simplified Chinese, the first non-English language for JMP Clinical. 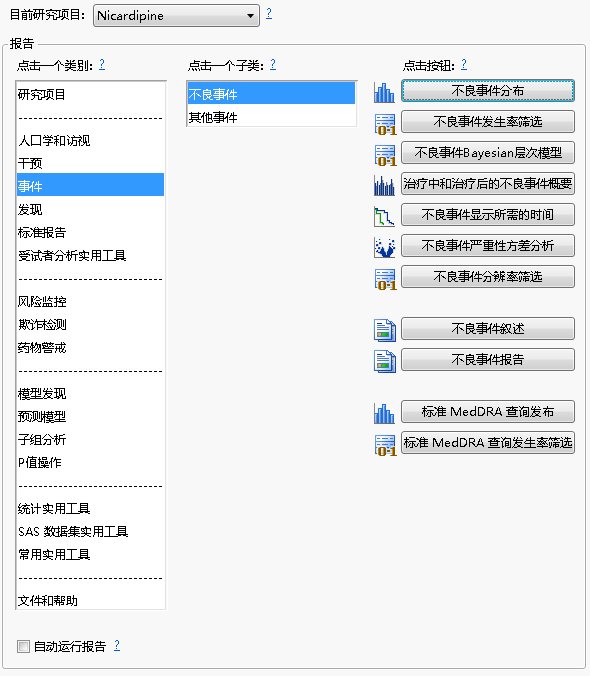 Second, JMP Clinical 5.0 can handle clinical trial data in Chinese or Japanese on a Chinese or Japanese operating system with a little additional work by the user. Since JMP Clinical uses CDISC format data, we take advantage of the standardized data that has fixed or controlled terminology for certain values in programming. Because certain terminologies can be translated into different words in Chinese or Japanese, we require a few essential values to be translated into specific terms that are consistent with the terms we used in programming (see Figure 3 below). If you don't use these translated terms, you may not be able to get correct results. Figure 3. 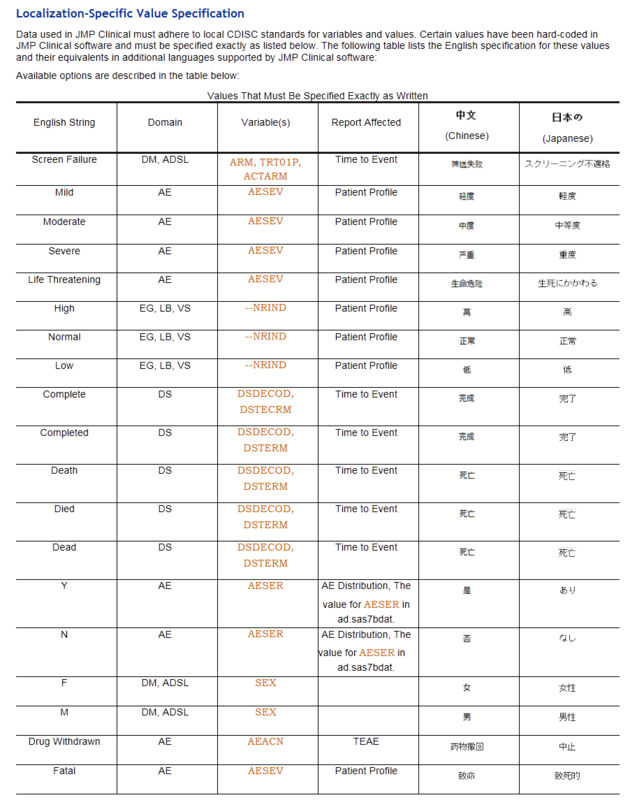 Required Chinese and Japanese terminology translation in the data. Users can also access this table in online documentation. We are working on the Japanese translation of JMP Clinical and are planning its release in the near future.